Diamonds and gemstones, or as we call them: "natures' treasures", have always had an influence on culture, fashion, trading, business, status and much more. The interest in them doesn't always end by the purchase of a jewel, but may actually generate investigation and study of their internal world. EGC College, formerly known as GIPS, is the longest established gemological institute in Israel, since 1975. Over the years, the college has trained more than 4500 students, many of whom joined the world gem industry. The EGC College is a recognized educational institute by the 'Ministry of Industry, Trade and Labor', and works closely with the 'Ministry of Immigrant Absorption' and with the 'National Insurance Institute' to allow students effortless enrollment. Gemology (or Gemmology), the knowledge of gems, is divided into 2 general areas: 'Diamond Grading' and 'Gem Identification'. The EGC College sets its courses according to this division. 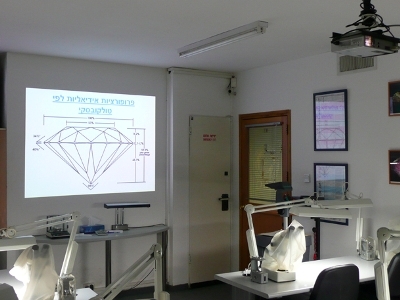 Both courses, 'Diamond Grading' and 'Gemology', are considered as the most comprehensive programs for gemology in Israel. The courses combine theoretical lessons, accompanied by presentations and printed materials, with practical exercises, using laboratory instruments and gem samples. 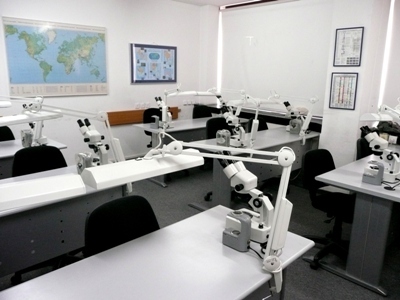 The EGC College courses are carried out by top Israeli experienced gemologists, having qualified in the most renowned gemological institutes in the world: GIA, EGL and Gem-A. The team, which works in the EGL Platinum laboratories, is updated on a daily basis with the new advancements and developments in the market. In order to facilitate the highest attention for each student, the lessons are held in small groups of up to 12 students which, during the practical exercises, are reinforced by 2-3 gemologists. The EGC College offers a unique educational collection of more than 3000 gemstones and diamonds, supporting the theoretical information learned. In addition, the EGC College cooperates with leading gem companies, to display a variety of quality levels of gems to its students during the lessons. Besides the theoretical lessons and the practical exercises, EGC College grants its students with tours in the diamond exchange area facilities and focuses lectures on how best to explore work opportunities in the industry. The entire education program is supervised by Menahem Sevdermish, EGL Platinum president.